All “Quick Links” are displayed in “Project Details” page. 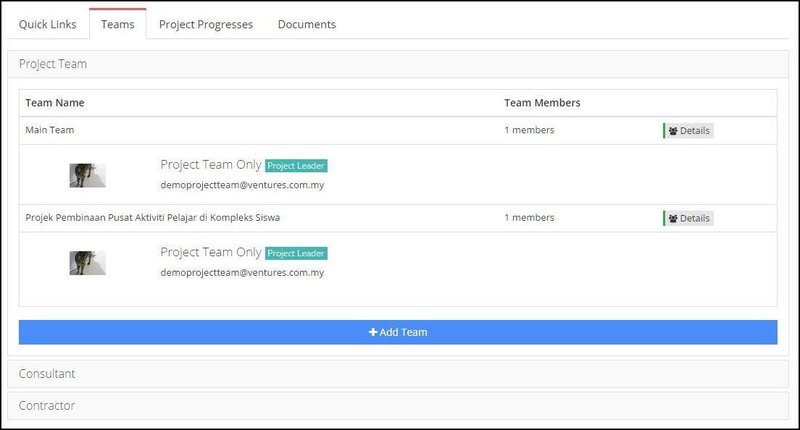 As you can see from the picture above, there is two links that can bring you to “Teams” information Page. Click on any of the two to see for “Teams” details. You can view the Team Member details. Viewing Details of Team Members. 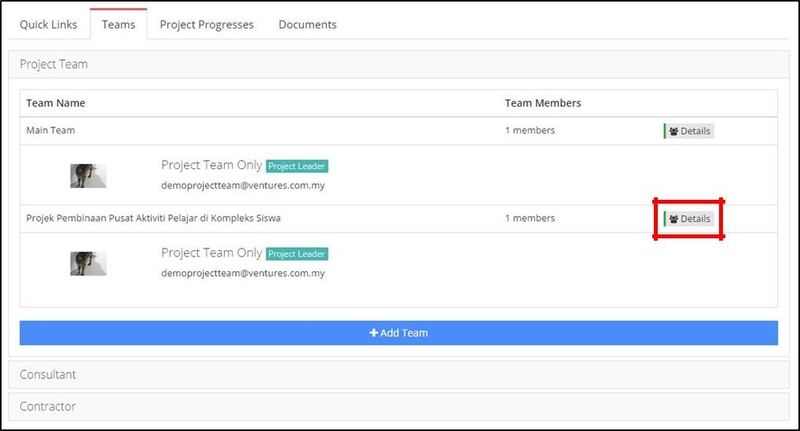 The Project Team shows list of team that are assigned to complete a project.